Today we have a guest post by fellow Planet Hunter Daryll (nighthawk_black) updating us on the search for dwarf novae and cataclysmic variables. 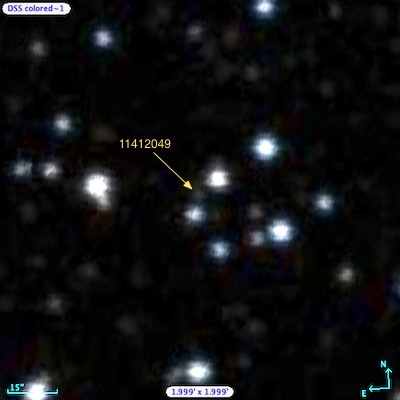 Daryll’s here to talk about a dwarf nova candidate found in PH Talk. Following the guest post from GO Director Martin Still, a review of light some light curves discussed on PH Talk turned up an interesting target somewhat similar to the serendipitous Dwarf Nova known as NIK 1. First noted by myself and several volunteers as a possible cataclysmic, we believe this to be another SU UMA type variant with over 50 quasi-periodic brightness changes observed and a defined superoutburst, in the public Q6 data. The activity is not visible in all quarters. An examination of the accompanying target pixel files (these are files created by the Kepler processing pipeline that show the brightness over time for each of the pixels that are added up to make a Kepler light curve and those surrounding that don’t go into making the light curve – they can help you see if the features in the Kepler light curve come from the target star or something nearby that is contaminating the target’s star aperture) reveal that the true source of the dwarf nova candidate lies in the background and likely originates from an adjacent source tagged as KID-11412049, leaving how much activity we see in the original light curve dependent on the differing aperture pixel masks used for each Quarterly roll. Unfortunately it does not appear to be an eclipsing arrangement nor has it displayed any transiting circumbinary companions. We asked the science team to take a look at this star and they think it looks like a good dwarf nova candidate. The PH science team has applied for Directors Discretionary Time seeking additional observations in the coming Quarter (we’re all waiting to hear back if the Planet Hunters proposal has been approved) to learn more about this system including its outburst supercycle, accretion disc stability and component compositions. Early analysis indicates high mass transfer with a notably short orbital period of 76 minutes; a GALEX survey shows this location also appears to be associated with a UV source. Screening out background binaries from transit candidates is something the community has gotten pretty sharp at and I believe more of Martin’s missing Dwarf Nova will turn up. If confirmed, this will be the 5th Superoutbursting DN in the Kepler FOV and the 17th total, so well done and keep up the eagle-eyed hunting! Very interesting, on the other hand the Kepler’s FOv is in a good region for novae!